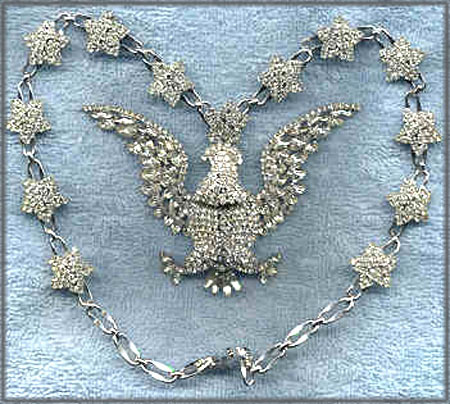 (This photo and the next 4 are courtesy of Bobye Syverson) [larger view] "This Hobé is a huge American Eagle pendant (4" wingspan) on a chain with 13 big stars for the 13 original colonies." [larger view] "This Hobé is what I call my "Imperial Russia" design, involving pearls and real mink!" 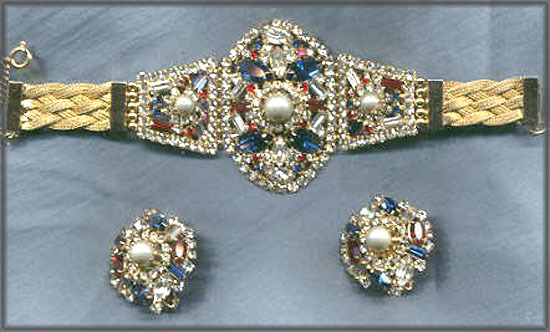 [larger view] This parure is fantastic. I have shown two scans of this one. The style of the bracelet is the only thing that is typically Hobé. This shows the bracelet and one pair of earrings." 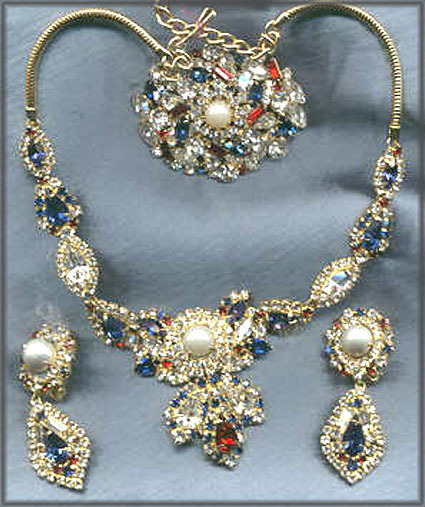 [larger view] Here is the rest of this parure. The necklace, brooch, and other pair of earrings are on this scan. Isn't this a beauty?" [larger view] "This is a little gem. Not very large, but beautifully designed. 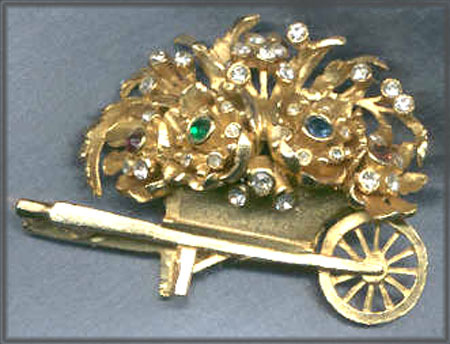 A Hobé wheelbarrow with jewel flowers."